The code is the exit code of the freelancer.exe game. This can be specific and depends on why the game did exit. Reasons can be numerous. One of the watched files has been modified, renamed or removed from disk - to avoid damages to the multiplayer experience the game will be closed. Connecting update server timed out after 30 seconds. Cant read update source or server does not respond within 30 seconds. Wrong or missing answer from server. 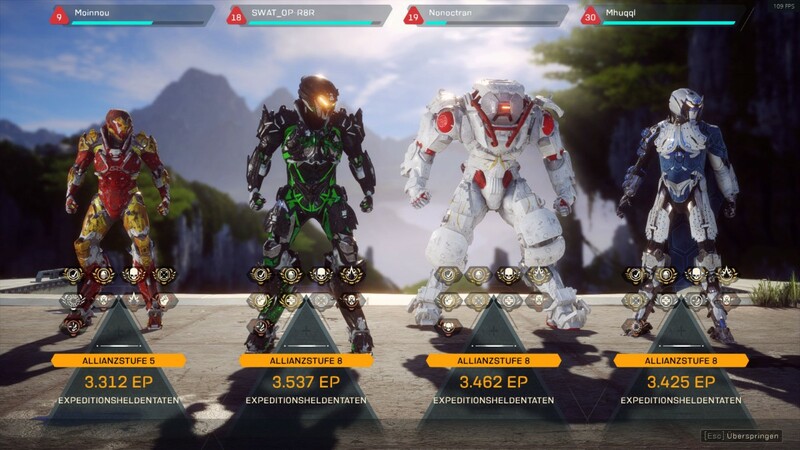 As you can see in the mission review screen below, the balancing between the different player levels works pretty well in Anthem. I like that I can keep up with a player that is 12 levels above me and even achieve better scores if I play just good enough. Yeah, you get more or the same points and actually the group is very often good balanced. But actually the better levelled players deal a lot more damage to enemies due to their better performed Javelins. I am not aware of such a fee here.